All of these devices last for 720 hours, and depending on which one you order, they come with different supports to help keep the device in place, though you can just use adhesive strips such as microporous tape or plasters if you prefer. You can also purchase a trial device which lasts for a week to see if actipatch is the right treatment for you. Actipatch is a discreet, drug-free device that helps with pain relief. It sends out electromagnetic pulses 1000 times per second and is most often used by people suffering with chronic pain. The device comes as a loop that’s attached to the most painful area of your body. For best results, it should be worn for at least 8 consecutive hours a day. It’s safe to use alongside medical pain relief, or it can be used as a treatment on its own. Actipatch offers a portable and personal-use version of pulsed electromagnetic field therapy (PEMF). The device gives off low levels of electromagnetic radiation that help to encourage damaged cells to naturally repair themselves. It’s thought to work by amplifying the spin of electrons in the cells of a damaged area, in turn, restoring their energy. This restored energy encourages and allows cells to function efficiently again. Is it the same as TENS? Not quite. Whilst TENS and PEMF are both part of the electro-therapy family, they work in different ways. TENS stands for transcutaneous electrical nerve stimulation, and although the devices are both attached to the painful area, there are some key differences. Actipatch stimulates the cells to naturally repair themselves, whilst TENS units interrupt pain signals being sent to the brain. There is no cell repair associated with TENS. Pain relief with TENS stops when you remove the device. With actipatch, as long as you wear the device for at least 8 continuous hours per day, the pain relief lasts even when you aren’t using the device. This isn’t to say that actipatch is a better option though. Everyone reacts to treatments in different ways, and someone may not respond to actipatch as well as they do to TENS therapy or vice-versa. Both therapies can be used alongside tradition pain relief methods or on their own. How long does actipatch take to work? People react to the treatment differently. Some find that their pain levels are lowered within a few hours of use, where others might take a few days. However, the average amount of time it takes for a person to feel relief whilst using actipatch is around 3 days. Can I wear actipatch in the bath, shower, or whilst swimming? No, your actipatch must not be worn in water. The device uses electricity to work and exposing it to water is dangerous. The actipatch can be applied to dry skin. Can I wear actipatch during the night? Yes, it’s safe to wear your actipatch in bed. Many people feel that 24-hour use is more beneficial for their pain. However, you might find it more difficult to keep the loop in place overnight. What are the side effects of using actipatch? So far, no side effects have been reported. Unlike TENS units where local skin irritation might occur, actipatch’s unique design means that patients don’t experience side effects or irritation. However, if you experience new symptoms whilst using actipatch, please contact that manufacturers and report your symptoms to the MHRA yellow card scheme (available from the Google Play Store and the App Store). This scheme helps patients and manufacturers to keep an eye on any adverse effects that a product or medication might cause. 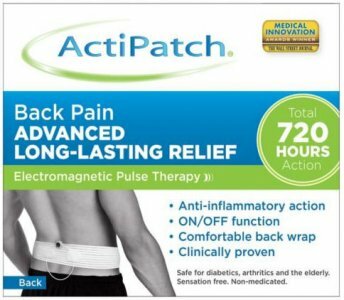 When used alongside more traditional pain relief methods, actipatch can reduce the need for medication by around 50%. Because it’s a drug-free therapy, it can be used either on its own or in conjunction with medication to boost the amount of relief you feel. Can I use my actipatch more than once? You can take off your device and re-apply it whenever you wish, making sure to turn it off between each use. However, each device only lasts for 720 hours and can’t be recharged after this time. 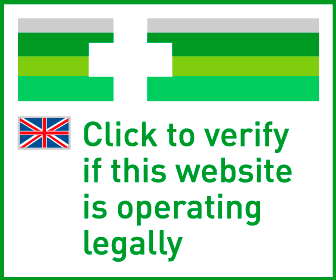 If you want to keep using actipatch, you can always order another through our website. Luckily, most people are able to use actipatch for pain relief, but there are some people that should take caution just in-case. Make sure the device isn’t placed directly over a pacemaker. Although the electromagnetic pulses are low-level, it’s better not to risk any interference. Not enough studies have been done to show the effect of actipatch on an unborn baby. Although it may be safe, we advise that it’s best to avoid using the device if you’re pregnant. If for example, you’re suffering with back pain and knee pain, it’s safe to wear two devices. The only thing you need to be sure of is that the loops don’t overlap. For example, if you’re wearing two devices on your back, make sure the loops aren’t touching each other and there’s a good amount of distance between them. Apply to effected area as required.